A no-deal Brexit will leave millions of British holidaymakers with valid passports unable to travel to France, Spain and other Schengen Area countries this spring and summer. The Schengen Area is an area comprising 26 European countries that have officially abolished passport and all other types of border control at their mutual borders. The area mostly functions as a single jurisdiction for international travel purposes, with a common visa policy. The UK government has said that some passports with as much as 15 months of validity remaining won’t be accepted for travel if the UK exits the EU without a deal. That’s despite previous government advice that just six-months validity would be required. Existing rules for visitors from non-EU countries travelling to Schengen Area countries require that passports must have been issued within the past 10 years. Until recently, UK citizens who renewed their passport, before it had expired had any remaining validity added to the validity of the new passport, up to a maximum of nine months. That means a UK passport could be valid for a maximum of 10 years and nine months. These nine months, or any period beyond 10 years, will not be valid for travel to Schengen Area countries. With Schengen Area rules also requiring non-EU travellers to have six-months validity remaining on their passport on the day of travel, this means some UK passports with fifteen months until their stated expiration date won’t be valid for visits to the EU. Which? 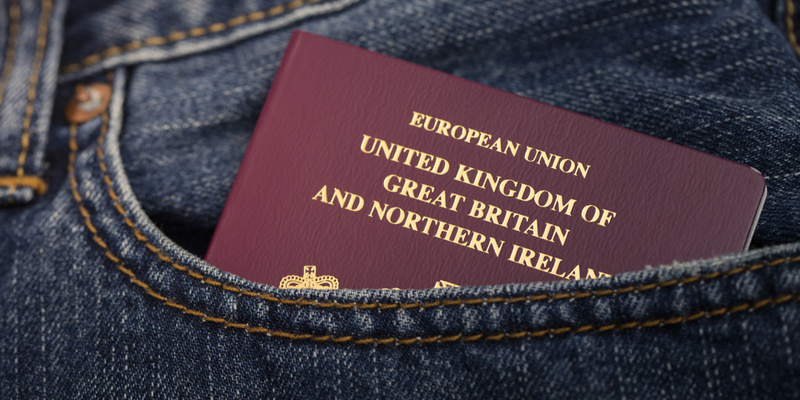 Travel asked the Home Office how many UK passport holders might be affected. It told us that there are currently an estimated three and a half million British passports that won’t comply with the post no-deal Brexit passport requirements. It believes that between one and one and a half million of these passport holders could travel in spring or summer 2019. These holidaymakers will be prevented from travelling at the airport, unless they renew their passport. Almost all government advice issued to holidaymakers in preparation for a no-deal Brexit has been to check for six-months validity. Which? Travel asked the Home Office what steps are being taken to inform existing passport holders that their passport may no longer be valid. It said it was warning people through national advertising, and had sent SMS reminders to customers whose passports are approaching expiry and for whom we hold mobile phone numbers. It also said it had sent airlines information packs detailing the changes. But when Which? Travel checked the booking journey of British Airways, Ryanair and Easyjet we found no information advising travellers to check passports for additional validity. Which? Is calling for holidaymakers to be given more information about passport validity, before they book travel. Editor of Which? Travel, Rory Boland said: “People will be shocked to hear that they could be turned away at airports and prevented from going on holiday – even when their passport is valid for another 15 months. The government has now launched an online tool that will allow passport holders to check whether their passport needs to be renewed.